Full service programs for all pest-related problems all over Lebanon. 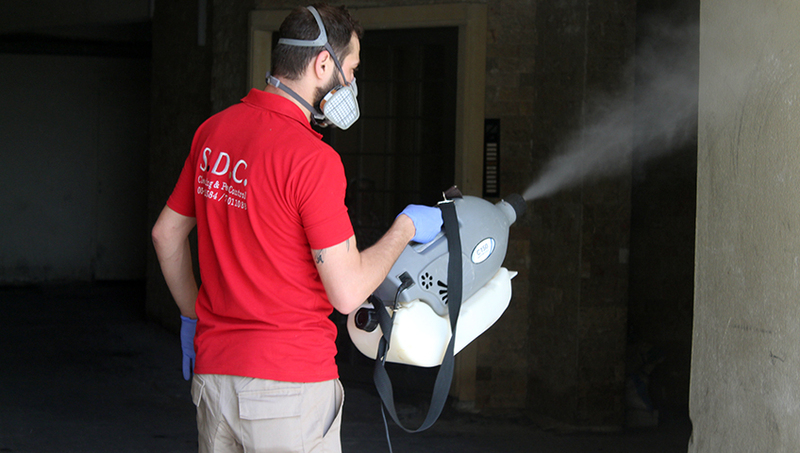 SDC Service is a fully integrated pest control company in Lebanon specialized in controlling the pests that invade your home and commercial premises such as cockroaches, bed bugs, rats, mice, and all crawling insects. It can be both alarming and disruptive for any business or property to have a pest problem. Our pest control professional team has the experience and expertise to help all clients. To help you, we can offer and tailor solutions for the control of infestations in your premises – just as we have already done for many clients throughout Lebanon. We offer commercial, industrial, retail and domestic properties a full range of pest control services including: Control of rats, mice, black ants, cockroaches and seasonal biting insects, Termite and insect treatments, Fumigation, Fogging, Soil poisoning and weed control, Specialised warehouse and distribution centre services, Specialised services and procedures for the food and other industries and much more!